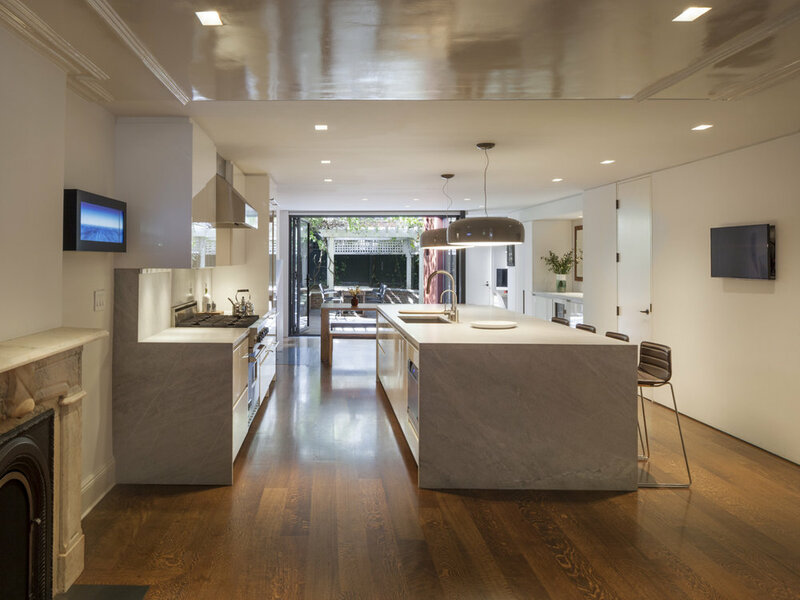 Located on a desirable block in Brooklyn Heights, the garden and parlor floor of this four-story brownstone underwent a contemporary transformation. The primary objective was to open up the back of the home to the garden, blurring the boundaries between interior and exterior spaces. A large opening was carved out of the rear façade, and the traditional bay window and doors that once led out to the garden were replaced with floor-to-ceiling tri-fold glass doors. The glazing wraps around the corner, connecting the old extension of the house to the rest of the garden floor. 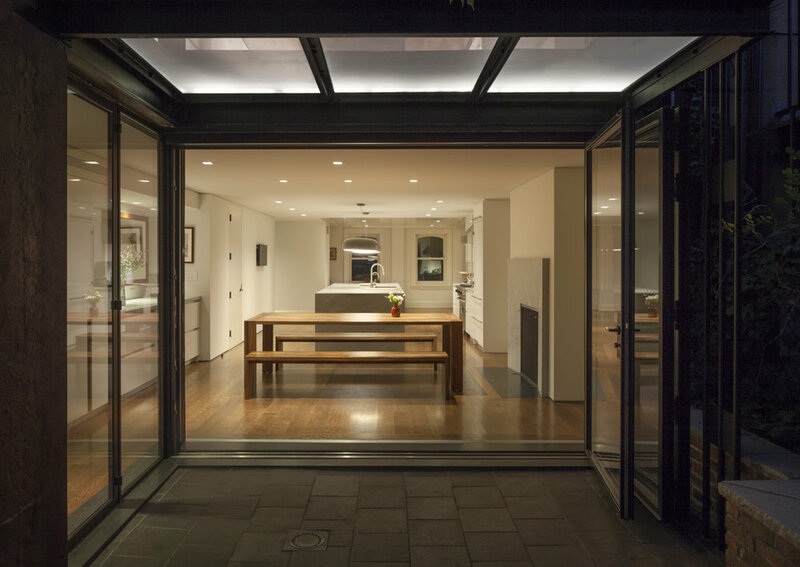 The expansive opening allows for unobstructed views to the garden and encourages light to flow into the interior of the home. By eliminating the walls that had once divided the space, the open floor plan further enhances the connection to the outdoors. A kitchen island with a waterfall edge made out of Blue de Savoie marble anchors the open floor plan. The sleek lines of the custom millwork and minimalistic forms in the kitchen and dining area further enhance the modern aesthetic. A glass balcony, accessible from the parlor floor, provides a sheltered exterior space on the garden level without limiting the natural light indoors. At night, the glass balcony is set aglow and provides ample light for use of the patio after sundown.